Less than a month until Cockpit-Fest at Newark Air Museum - Military Airshows News & Press Releases. Preparations for the 2018 Cockpit-Fest are well underway at Newark Air Museum's site in eastern Nottinghamshire; close to the border with Lincolnshire. Newark Air Museum is a registered charity located on part of the former site of RAF Winthorpe; its two day Cockpit-Fest event attracts exhibitors from across the UK and Europe, to sample what one former-aviation magazine editor calls "grass roots aircraft preservation". At this year's event a diverse range of aviation will be represented. This includes a range of military and civilian cockpits including amongst others: Lightning, Canberra, Hunter, Buccaneer, Brigand and Tempest. These cockpits are amongst many other cockpits from across the history of aviation. 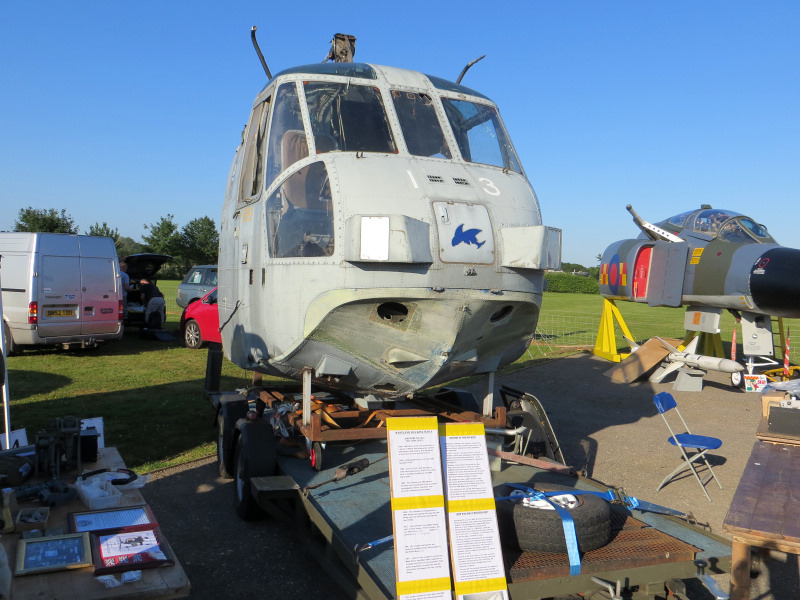 This year's event takes place on Saturday 23rd and Sunday 24th June; and the event is being staged in last year's location at the museum, alongside an Aeroboot / Aerojumble aviation and avionics sale. Here enthusiasts and the public can search out those aviation artefacts, books and models. Cockpit-Fest also attracts other visiting displays like local history / military vehicle groups; re-enactors; and even more aviation related displays such as clothing and historical artefacts. As an added bonus this year's event has a flypast on both days by aircraft from the Battle of Britain Memorial Flight.